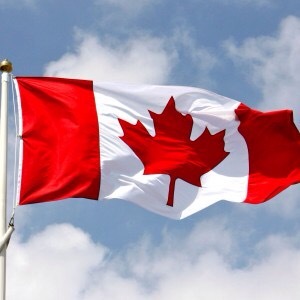 First off, HAPPY CANADA DAY!!! We just got back from 3 weeks vacation visiting with friends and seeing the sites in beatiful Nova Scotia and Prince Edward Island. What an amazing trip! Canada’s east coast is beautiful and the people are very friendly. It’s good to be back, but I think we both might just be a bit happier if we were still there. It took two days of driving, around 22 hours in total to reach our friends in Halifax. Becky always says that I drive a bit slow, which means I basically adhere to the speed limits. She also gets a good chuckle out of people when she tells them that when she takes to the wheel she makes up time when I fall asleep. She may have said “he drives like an old man!” which is pretty funny because when I make reference to her driving it’s usually something like this – “Maybe you should take up Formula 1 as a hobby!”. At any rate, as with most things in our life together, we balance each other out. We got there and back in one piece, even if I had to sleep with one eye on the speedometer. I’ve had problems with my iPhone so I will have to get some pictures from Becky and post them later. Besides relaxing on the trip I had one goal, to eat fish every day! It’s good to have goals, so that was mine. Becky managed to take a few pics of my meals but mostly I just dove in before she could get her camera out. In past years when we have gone out east I’ve only returned with a bunch of nice memories. I’m not a big shopper. However, when I do decide to buy something it’s usually a bit expensive. For more than a couple of years I have been eyeing an endgrain cutting board at the Halifax farmers market. This year I finally bought one, well two actually. They are like a piece of art. We were visiting another set of friends on Cape Breton Island and we happened to pass the factory outlet store for the same cutting boards I saw in Halifax. Good deals! We celebrated our 27 year anniversary while on Cape Breton. Our friends have a beautiful oceanfront property with 180 degree view, bald eagles passing by, and amazing sunsets. Nice spot indeed! When we got home last night we had to have a quick walk around the garden. It seems like everything just exploded while we were away. Some of the weeds were bigger than the veggies! So we got out there to do some weeding today. That’s it for now. Hope everyone is doing well. Posted on July 1, 2015, in Homesteading, Homesteading In The City and tagged Atlantic Canada, bald eagle, Cabot Trail, Canada Day, Cape Breton, driving trip, Endgrain cutting board, Halifax, Nova Scotia, ocean front, Seafood, travel, vacation. Bookmark the permalink. 3 Comments. Hey Melissa, how are you doing? I saw your last post with the kids….you all looked like you were having a fabulous time!